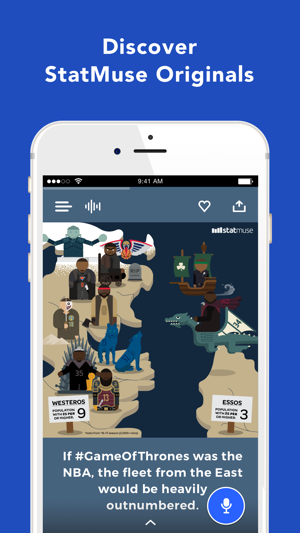 StatMuse is a new way to experience sports. 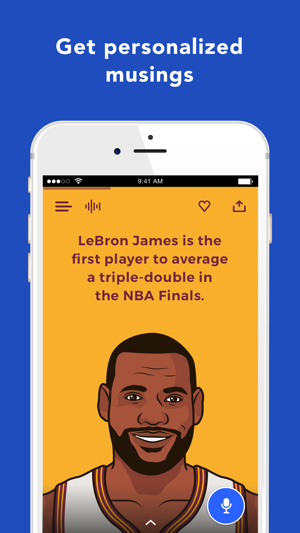 • Talk with your favorite players and personalities for your daily sports conversations. 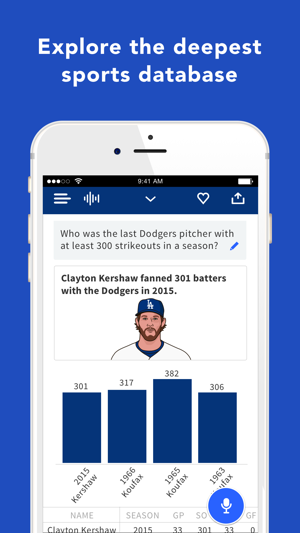 • Keep up with the latest scores, stats and original content about the teams you love through personalized musings. 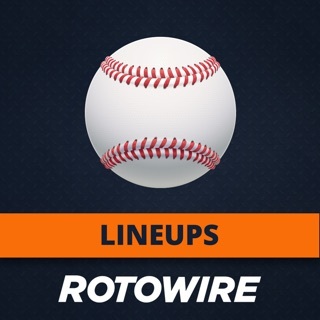 • Get instant NBA, NFL, MLB & NHL answers back to 1876 and become more than just a fan. • Complete NHL scores and stats back to 1917 (70 years before Shanahan was drafted). • Shanahan played for the Devils, Blues, Red Wings and Rangers. 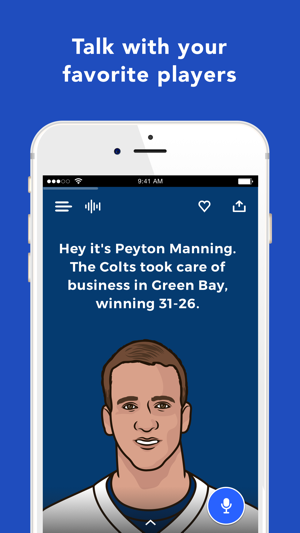 You can now follow those teams (and more) to get personalized musings. • We have our own Triple Gold Club: NHL box score support, UI tweaks and bug fixes. This app is a visually and aurally engrossing app. 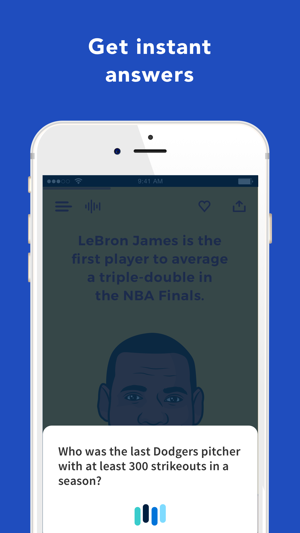 The illustrations are top notch, and so is the ability for the players to actually speak out their stats. It demostrates brilliant engineering, and clever use of AI. But the logo is lame. Yes, its stats. Yes, its called "StatMuse". But when its app being featured, the last thing you want is to show 4 static bars over a white background. What is that? Also, the colors aren't even distgushed - they look like a v1 of the logo that some founder mocked up under 10 minutes before a designer was hired to rework the logo and app. Please, do your app a favor. First impressions matter. Change up the logo. The capacity of information available in the app and implementation are welcome novelties. 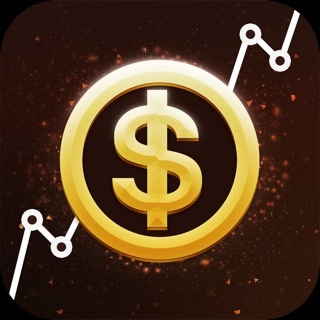 This app has the potential to be the number one source of aggregate stat tracking on the go and it’s implementation is done both beautifully and intelligently! It’s cool and the concept is awesome, but there doesn’t seem to be any really deep, advanced stats and analytics. Very frustrating.